After a shamelessly long period of inactivity here on Paleoglot due to partying, Valentine's Day, joining the Aegeanet forum (possibly to my chagrin), a bit of laziness, a nasty chest cold, and obsessively programming my own game of Sínat (an ancient Egyptian boardgame) while experimenting with the Adobe-Flash-yumminess of Sprout Builder, I have yet to reorganize my blogsite like I wanted to and categorize my various files and such (Etruscan Dictionary pdf, hypotheses on Pre-Proto-Indo-European, and now this Sinat game) under more easily accessible links from the main page. Unfortunately there are only 24 hours in a day, yet I need 8 to 10 hours of sleep or else I get crabby. Go figure! At any rate, for now, please help me test out my game (the link is down below). Some of you may be confused by my spelling of the name. Normally people spell it "Senet" but this is the annoying "Sir Budge" way of bastarding the Egyptian language by lazily imposing the vowel "e" between written consonants. Remember, afterall, Egyptian seldom indicated vowels in hieroglyphics unless writing foreign names like that of the legendary Ptolemy known as Cleopatra who was of Macedonian heritage. 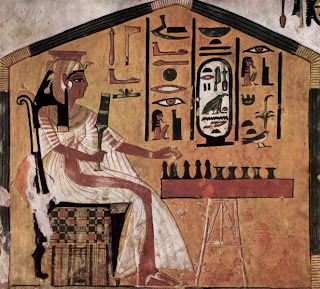 The name of the game literally means "passing" and since it's related to Coptic šina "to pass", the name in Middle Egyptian (that is, the language as it was spoken around 1500 BCE or so) may be reconstucted as *sínat. I have lots more to say about this interesting game such as mythical symbolisms subtlely embedded into the design of the game, Kendall's rules on which I base my program, some minor reinterpretations of game rules that I needed to impose while coding the details in order to keep it from being laborious, etc., etc. Consider this game a "beta" version and I'm aware of some bugs (e.g. the "Roll Dice" button flashes pointlessly in computer vs. computer mode) but despite my hideous programming, I believe it should now be playable with a friend or alone with the computer without exploding. However, fear not, friends. This is *not* the final product yet and I will be making modifications to the programming and visual aesthetics as I go along until I'm reasonably satisfied that I've ironed out all usability issues. As I said, the rules are more or less that of Timothy Kendall and a short primer of them can be learned from this link. I use the 5-pawn variant rather than 7 although it sounds like 5, 7 or even 10 pawns were used by Ancient Egyptians. Try a game of Sínat! I was asked whether this language looks related to Etruscan or Rhaetic languages and in my honest opinion it's not. While it appears to have an Indo-European-like look, it continues to defy translation. We might note some grammatical patterns in it. The ending -ten marks a number of words here (aiten, paten, treten) and is similar to a second person plural ending found in PIE languages. The words teu and eus remind me vaguely of the Indo-European pronouns *tu "you" and *n̥s "us". 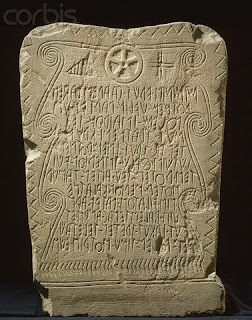 Some words appear to be marked by an accusative singular ending -m as we typically find in Indo-European languages (rotem, polem) and others appear to be marked with the tell-tale Indo-European nominative ending *-s (gaarestades, lutuis, ands, sotris).